The Independent National Electoral Commission (INEC), has cleared the former governor of Abia State, Dr Orji Uzor-Kalu and 15 other candidates to contest next month’s Abia North senatorial election. In the 2019 general elections, the final list of the presidential, senatorial and House of Representatives candidates released by the electoral umpire, the former Abia first citizen, on the platform of the All Progressives Congress (APC) will be slugging it out with candidates from political parties. 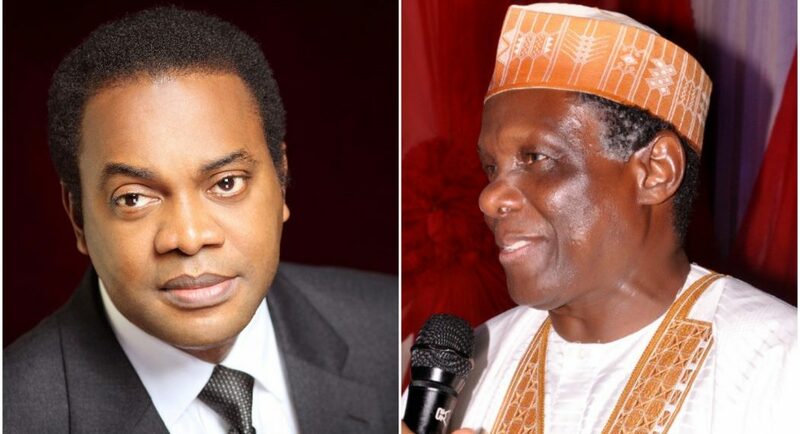 The commission equally revealed that the presidential candidates of the Social Democratic Party (SPD), former Minister of Information, Jerry Gana and former governor of Cross River State, Donald Duke and their vice presidential candidates were omitted from the final list of the presidential candidate because of their pending court cases. It disclosed that a total number of 73 presidential candidates, including the APC candidate, Muhammadu Buhari, PDP’s Atiku Abubakar, Oby Ezekwesili, Christopher Okotie, Obaje Yusuf Ameh, Durotaye Adetokumbo, Salisu Yunusa Tanko and a female candidate, Angela Johnson Ann. According to the list, the duo of governors Rochas Okorocha and Ibikunle Amosun also made the final list of senatorial candidates for their respective senatorial zones despite the threats from their party accusing them of anti-party activities. Giving a breakdown of the list of cleared candidates, the commission’s Chairman, Mahmood Yakubu, said that a total of 73 candidates are contesting in the presidential election, 1,904 in the senatorial and 4,680 in the House of Representatives elections, making a total of 6,657 candidates contesting for 470 seats. Speaking during a meeting with the Committee of Vice-Chancellors (CVC) in Abuja, the INEC boss said that “the final list of candidates for the governorship, state Assembly and FCT council elections would be released in two weeks on Thursday, January 31, 2019, in accordance with the commission’s timetable and schedule of activities. “Collation of results will take place in 8,809 registration areas or wards, in 774 local government areas and 36 states and the FCT. In addition, we require returning officers for the elections. “For the 2019 general elections, the commission would require some 10,603 staff to support the various collation and declaration processes. It is for this reason that this meeting is of crucial importance. We need the support of our universities to source the requisite number of interested academic staff on the understanding that this is essentially a national service. “As in previous elections, we have requested each university for a specified number of academic staff as contained in my letter to the vice chancellors. Staff who are card-carrying members or have participated in partisan politics should not be nominated. Similarly, those who may not be involved in partisan political activities but are known to have obvious political leanings should not be nominated. The commission will carefully scrutinise the list which must be submitted confidentially in the manner prescribed by the commission in my letter to the vice chancellors. “The commission always appreciates the support of the vice chancellors and the collaboration with the universities often under strenuous circumstances. We shall continue to work together in our collective effort to consolidate our democracy,” he said. Speaking further during the meeting, Yakubu commended the contributions of the university lecturers, stressing: “Let me, first of all, express our appreciation to the Committee of Vice Chancellors for making this meeting possible at short notice. We equally appreciate the support of the National Universities Commission (NUC), the regulator of university education in Nigeria. Without the involvement of our tertiary institutions, especially the universities, the commission will find it extremely difficult to conduct credible elections. “At the polling unit level, the critical segment of election duty staff is drawn from products of our universities and polytechnics involved in the mandatory National Youth Service Corps (NYSC) scheme. For the various collation and declaration centres, the commission draws the required collation and returning officers from the academic staff of our universities, including the vice chancellors who serve as returning officers for governorship elections and collation officers for the presidential elections. “It has been a happy collaboration which has further enhanced the transparency and credibility of the elections in Nigeria as well as public confidence in the process. The commission wishes to sustain and deepen this collaboration. “It is less than a month to the 2019 general elections. On Saturday, February 16, 2019, elections will hold in 470 constituencies nationwide made up of the presidential, 190 senatorial and 360 federal constituencies. Two weeks later on Saturday, March 2, 2019, elections will hold in 1,088 constituencies made up of 29 governorship elections, 991 state constituencies and 68 area councils in the Federal Capital Territory. In summary, there are 1,553 constituencies for which elections will hold this year. “The 2019 general elections will involve the highest number of registered voters and a record number of political parties. The final register of voters now stands at 84.004,084 while 91 political parties are contesting in different constituencies nationwide. Going by the timetable and schedule of activities released by the commission last year, the final list of nominated candidates for the presidential and National Assembly elections will be published today Thursday, January 17, 2019,” he said.